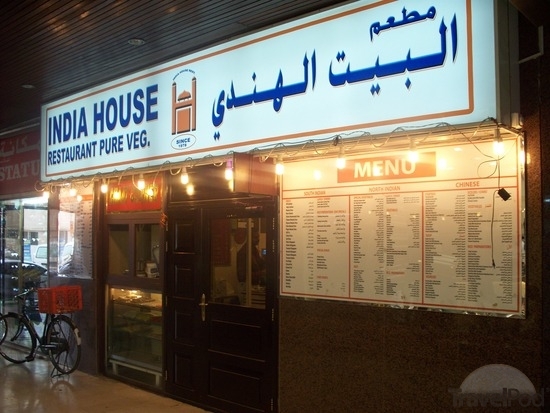 India House Restaurant is the home of north and south Indian vegetarian cuisines, which people of Dubai can relish at very cheap rates. However, being an affordable restaurant does not mean that portions of meal served at India House Restaurant are not too big, as foodies will feel like king while consuming the delectable dishes of this bistro. At this venue, guests can savour dosas, puris and various Punjabi vegetable dishes, which will make them true admirers of this restaurant with their excellent taste and quality. In addition to this, the efficient staff of this site provides first-rate services by repeatedly filling guests’ stainless steel dishes. This cheapest Indian restaurant serves vegetarian dishes in the region of Bur Dubai. Visitors will find array of puris and dosas along with different Punjabi dishes, but their ‘Thali’ is the real king of the menu. The portions of the meal dished up at this venue are also quite huge and can best serve the foodies. Their takeaway service also remains quite busy, as there is a decent demand of vegetarian dishes the locality of this restaurant. In addition to this, dine-in facility is also available from early morning till midnight. India House Restaurant starts its operations quite early in the day around 7:00 am and shuts down all activities at 12:30 am. This venue opens on all seven days during a week. 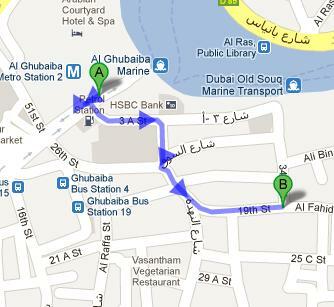 Al Ghubaiba Metro Station 2 is 600 metres away from the India House Restaurant. Commuters can bridge this gap in 8 minutes, if they walk in the southwest direction on Al Ghubaiba Road, then take a sharp left turn towards 3 A Street and then turn right onto 3 A Street, which will lead them to another right turn that goes onto 26th Street. After that commuters will turn left onto Al Nahda Street and keep left at the fork, soon they will find the destination. Nahda Street bus stop is located 500 metres away from the India House Restaurant. Therefore, on foot it will take about 6 minutes to cover this distance, if a person head out west on Kalid Bin Al Waleed Road/D 79 towards Al Esbij Street, from this bus station and then turn right onto Al Esbij Street. Afterwards he or she will make a right turn onto Al Fahidi Street to find the destination just few metres away. Directions on map. 21, 29, 33, 42, 44, 61, 61D, 66, 67, 83, C1, C3, C5, C7 and C18 route numbers serve this stop!